All Size sheds at Currumbin on the Gold Coast are rapidly becoming recognised by locals and those further afield as a reputable and reliable storage business offering clean, good quality storage solutions. Our steady ongoing growth since opening in 2003 is based on those simple principles. All Size Sheds provides the flexibility of several storage solutions to accommodate all as we know that being able to accommodate the wants and needs of as many customers as possible is not only convenient but essential to providing full customer service. Our self storage depot provides not only a clean and safe option, but it is a secure storage environment for our customers. We know having your possessions in our care is a responsibility and one that we do not take lightly. Our storage facility is gated and requires an electronic pass to gain access. We offer multiple self storage options for storing your property with All Size Sheds. From the name it is apparent that we offer a series of storage units to cater for the amount of possessions you wish to put in storage. This ensures you get what you pay for and are not shelling out your money for more space than you need. 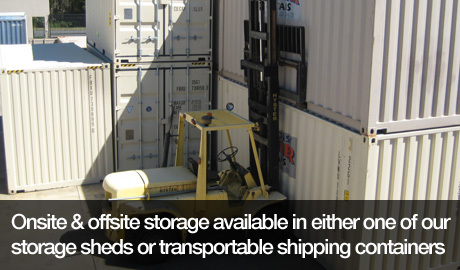 Another popular storage option is the use of shipping containers. Their increasing popularity comes for their value for money and the fact that they have several ways in which they can be utilised to maximise convenience. All of our storage sheds and shipping containers are maintained to a very high standard and fumigated regularly to ensure the safety of your materials. They are padlocked and monitored by security cameras around the clock to offer the best in self storage security available.